A fiscal shake-up is set to slash personal taxes and leave China’s workers with nearly $50 bln more to spend. Companies, though, may need to start paying a lot more social charges, raising their costs. That has left officials scrambling to avoid a fall in corporate investment. 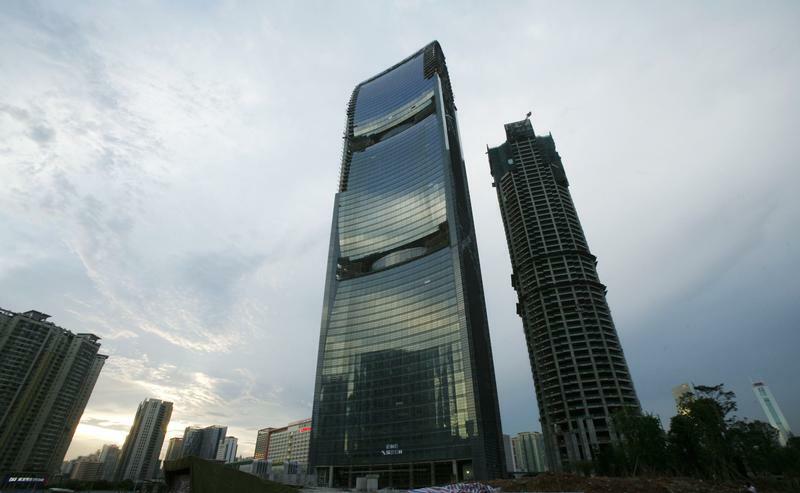 The Pearl River Tower, designed by Canadian-American architect Gordon Hill, is seen under construction at the Central Business District (CBD) of the southern Chinese city of Guangzhou in Guangdong province August 24, 2010. Built with an environmentally friendly concept, the skyscraper will include wind turbines and solar collectors. Responding to corporate concerns, China’s State Council said on Sept. 6 that planned tax reforms, including changes to the enforcement of social security payments, would not increase companies’ cost burden. The government said in July that the country’s powerful tax bureau is due to assume responsibility for social security collections, taking over from a combination of tax and social security officials. Parliament passed an amendment on Aug. 31 to raise the minimum threshold for collecting personal income taxes to 5,000 yuan ($728) per month, up from 3,500 yuan at present. The change will go into effect on Oct. 1.